FROM THE BOOK “THE BLUE EYED SIX” BY Edna Carmean: A true story from the late 19th century about four men who insured the town hobo and then hired a humble butcher and local ruffian to murder him so they could collect the insurance money…. all six having blue eyes! LOBO COMMENTS: In previous chapters I covered the backgrounds of all six men and the beginning of the trial, including personal testimonies of witnesses and arguments of the Prosecution. So for the sake of brevity I will summarize the defense’s arguments and the various legal maneuverings that occurred from that point forward. I mentioned earlier that having the trial just four quick months after the murder was rapid justice. I may have spoken a bit too soon. 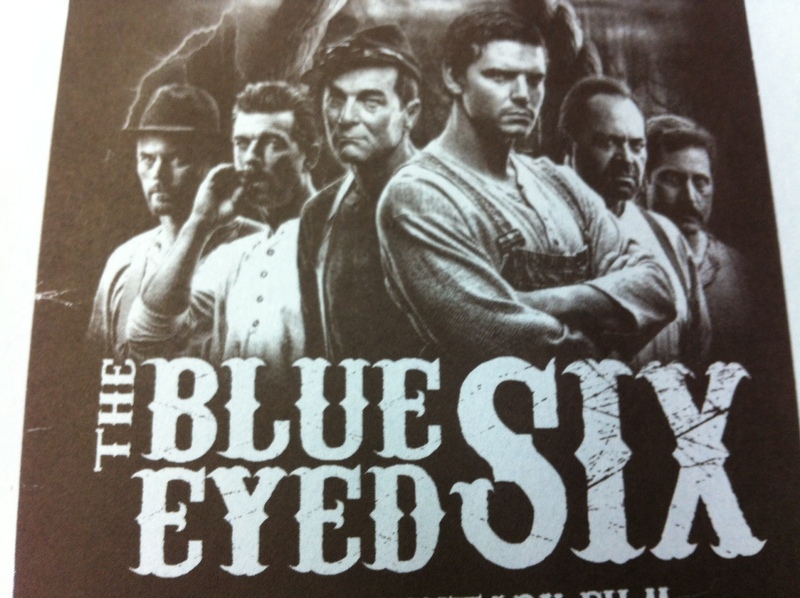 I’m sure that the end of the trials and final dispositions of the Blue Eyed Six wrapped up much quicker than it would ever have happened in the 21st century, but in the 19th century the necessary time was still taken to be sure the defendants had access to, and pursued all of their options before any sentence was carried out. THE TRIAL CONTINUES: The Defense counsel called a doctor to the stand who testified that in his opinion, since there were no defensive marks on the body of Raber, he could not have been forcibly drowned. Upon expert cross-examination by the prosecution it ended up that the doctor agreed that if the assailant only took hold of Raber’s shoulders, and since he was wearing a coat, there would be no defensive marks and so his testimony was a help to the prosecution rather than the defense! Then it was necessary that the strongest witnesses, Joseph and Lena Peters, must be shown to be liars in order to try to put aside their damning testimony. So other family members (Lena’s older sister Molly and younger brother Penrose) were called to the stand and their testimonies totally contradicted what Joseph and Lena had said. They claimed Joseph and Lena were drunk the afternoon of the drowning, asleep in the upstairs bedroom of the Drews home until at least 9 o’clock pm that night. They never awoke long enough to peer out that window at the time of the drowning. Witnesses were also paraded in front of the 12 men jury that would all say Joe Raber was seen that day acting very giddy with an obvious case of vertigo and assuredly must have just fallen off that narrow plank and drowned in just 17 inches of water. The problem with these two arguments was that there was at least half a dozen witnesses from the community who testified seeing Joe & Lena down by the creek in the 7 to 8 o’clock pm timeframe and if Joe Raber had vertigo how could he have walked 6 miles that day from out in Fishing Creek Valley, as one witness testified seeing him there, without collapsing along the road somewhere along the way? Plus, a man who falls into just 17 inches of water should be able to easily stand up rather than just lay there. Then a replica of the window from the Drews home was presented and the window panes were all covered with pitch since they argued that the upstairs of the house was often used to smoke meat. But a Commonwealth witness testified that from the path in front of the Drews home he could clearly see through that window and see light shining through the roof of the house where a shake shingle was missing. Day 5 & 6 were taken up by a back and forth between the Defense and the Prosecution which seemed to go on forever and finally the insurance agent was called again to testify, but the Defense was not successful in turning him to their side in order to build their case. At the conclusion, on the sixth day at 3 o’clock on the 24th day of April, the case was given to the jury to consider the six blue-eyed men’s fate. The judge indicated they would adjourn until 9am the next morning or until the ringing of the Court House bell. At 8:30 am the next morning the Court House bell rang out and the citizens rushed from all directions to the court-house to get a seat. The judge called the jury in and asked for the verdict. A burly farmer in the front row stood up and said firmly, “Guilty in the first degree”. The Defense attorney asked that the jury be polled and each man was asked the question separately for each defendant and so the same phrase was heard seventy-two times in the tense courtroom, “Guilty in the first degree”. The Lebanon Daily News reported the next day, “There is not another case on record, either in this country or in England, where six men were found guilty of murder on one indictment.” This gave the Defense team an idea so in mid-June they filed a motion for new trials which would separate Drews and Stichler from the other four defendants who, in their opinion, should have been charged with second degree rather than first degree murder. They also claimed to have evidence there were mistakes made by the court in that a juror had spoken to someone before the trial and admitted his mind was already made up that they were all guilty even before hearing the evidence. They also questioned whether there was sufficient evidence to connect George Zechman to the conspiracy. On August 4th Judge Henderson dealt with these matters. He said to a full court room, that the prisoners could have been tried separately but had elected to be tried as a group. Plus the jury was polled and each juror had already ruled in the first degree against each defendant. Then the surprise announcement was made concerning George Zechman. The judge stated, on searching the testimony, he could not find an act or declaration of this defendant which fixed upon him beyond a reasonable doubt a complicity in this murder. Therefore, he was granting a new trial to George Zechman! Wonderful account of original events. I am a great grandson of Henry Wise, his daughter Lena was my grandmother, she passed away when I was 10 years old. Hi Bud! I am the great great great grandson of Charles Drews. You must be older than me (65) to be only the great grandson of Henry Wise. I am related to TWO of the six men, Charles Drews AND Franklin Stickler. Drews daughter Magdalena married John Stickler the younger brother of Frank Stickler and they had Jenny (my great grandmother) It is quite the woven web! We should get together for a coffee sometime!